I know I've mentioned here on the blog a number of times that I am not a coffee person. Well, it hasn't change. I still very seldom drink coffee...especially hot coffee. But there's something I do love about it --- it's aroma! The smell of coffee never fails to lift my spirits. And since I realized that coffee adds depth to chocolate cakes and other desserts, I've been using it more. That's why when I was once again offered to do a coffee review, I accepted with no second thoughts. Besides, it's not just a regular coffee brand...it's PURO Fairtrade Coffee, a brand from Miko who has been roasting coffee in Belgium for over 200 years, and has proudly taken espresso marketing two steps further with a product that combines Fairtrade certified sourcing with saving the rainforest through World Land Trust. More than a week ago, I received this lovely package from PURO, carefully packed in a hessian sack. Inside were three packs of ground coffee – Puro Organic, Puro Noble and Puro Fuerte with handwritten labels describing each coffee, some sachets of hot chocolate and sugar, an expresso cup and as I requested, a box of green tea. Base from this assortment, you can see that PURO offers other products aside from coffee. They have tea, hot chocolate, and ancillaries like sugar sticks and creamer as well as biscuits and cookies. Their coffee is available in beans, ground and pouch pack across 4 blends and comes packed in 250g and 1kg bags. I received three blends, all ground and each in 250g pack, and the hubs and I tried each one of them using our Keurig brewer. You may be asking how do these 3 blends of coffee differ. 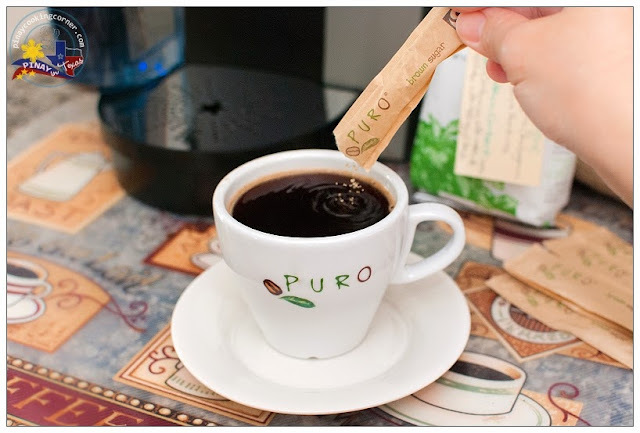 Well, the Puro Organic is grown in Peru and Honduras, and is made up of 100% of the finest Arabica. It combines soft notes of sweet chocolate with tangy citrus. Both the Puro Noble and Puro Fuerte, on the other hand are grown in Guatemala, Peru, Honduras and Congo. The Puro Noble is made up of 80% of the finest Arabica and 20% Premium Robusta. It is rich and lively, medium roasted with hints of fruit and hazelnuts, while the Puro Fuerte is made up of 50% of the finest Arabica and 50% Premium Robusta, and is a fragrant full body dark roast with a touch of spice. For those of you who aren't familiar with the terms "Arabica" and "Robusta"...they are the two primary varieties of coffee which differ a lot in taste, growing condition and price. 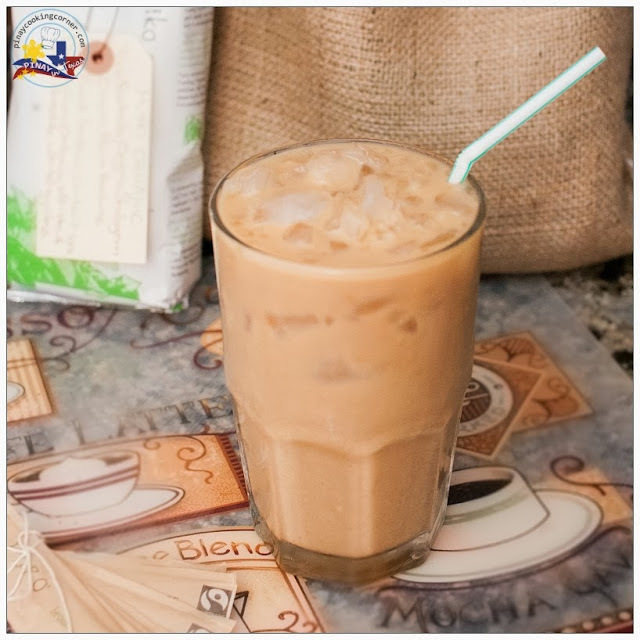 Arabica beans tend to have a sweeter, softer taste, and has higher acidity while Robusta has a stronger, harsher taste, with peanutty aftertaste. They contain twice as much caffeine as Arabica beans, and they are generally considered to be of inferior quality. The good thing about Robusta is that they are easier to grow. They are less vulnerable to pests and weather conditions and they produce fruit much more quickly than the Arabicas, which need several years to come to maturity, and they yield more crop per tree. Because of this, Robusta is a lot cheaper than Arabica. or cold, it's something I will enjoy drinking even though I'm not much of a coffee drinker. 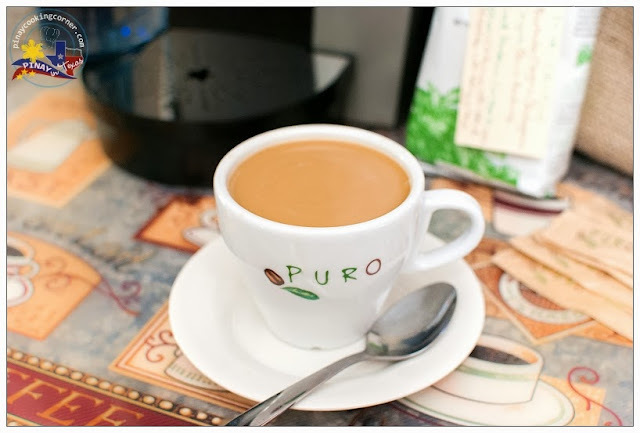 If you prefer light roast, then Puro Organic is the blend for you. As for the Puro Noble and Puro Fuerte, I think they are both too strong for me, but the hubs find these two blends perfect for him, though the Fuerte was his favorite. The higher levels of Robusta beans in the Fuerte gives it a stronger taste and a very deep coffee flavor that he really loves. He even tried it using his French press, and he said it tastes even more wonderful. If you like dark roast with plenty of body and a touch of bitterness, you should go for Puro Fuerte. It's the perfect morning coffee that could surely awaken all your senses. If you want something a little milder then you should go for Puro Noble. My youngest daughter tried the hot chocolate drink and she really liked it. I had a sip and found it too sweet, but for my eight year old, it was just right. As for the green tea, I can say it's exceptionally light, both in taste and color. It has a very pleasant flavor with absolutely no bitter and grassy taste. If you're looking for strong green tea taste, then this might not be for you. 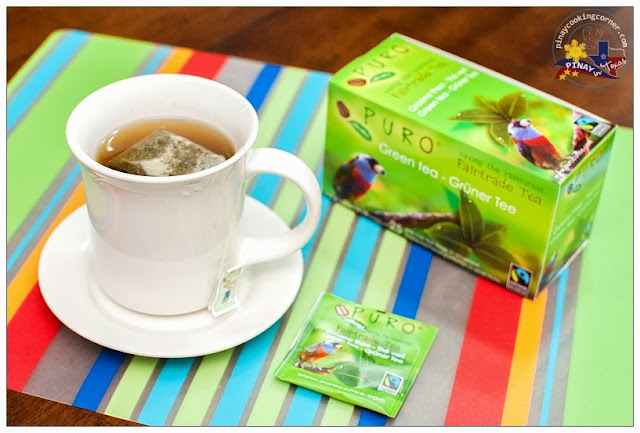 But if you want something light with a subtle taste, then PURO Fairtrade Green Tea is the perfect choice. Summing up, I can say that though PURO Fairtrade products are not the best and tastiest, they are good and indeed, of high quality. Well, that's exactly what fair trade is all about, right? Because the Fair Trade system provides incentives for farmers, they are able to improve the quality of their products. Because farmers are paid enough, they are able to invest in local community development and they learn to use environmentally sustainable production methods, including organic farming (no harmful chemicals). 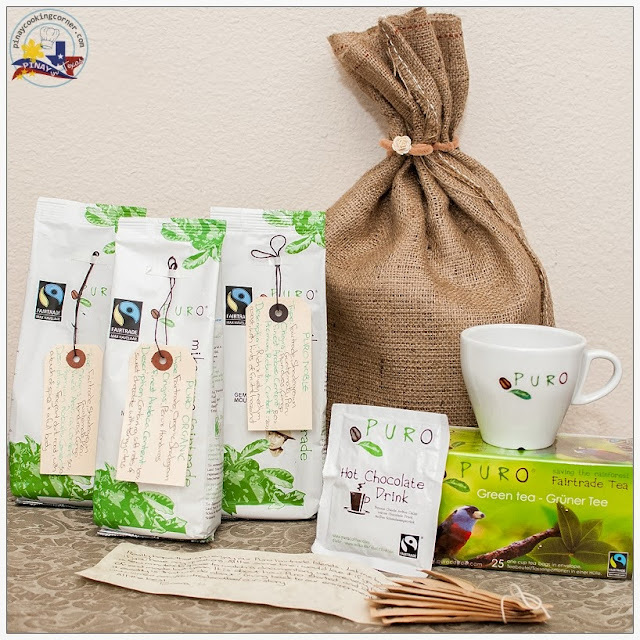 That is the good thing about PURO --- they recognize the need for fair trade and are committed to pay fair prices for all of their coffee beans thereby benefiting the small farmers and plantation workers. Unfortunately, PURO is not yet available here in the US but is currently looking for a distributor. But for those of you in mainland Europe, Africa, Australia, Canada and Singapore, you can enjoy the full range of PURO Fairtrade products, and I strongly encourage you to do so. Not only will you get high quality products, you'll also be able to help save the earth. And why is that? You see, PURO knows that it is not all about business and selling their products for profit, but also about selling their products for a cause and giving back to the community and environment. They see no sense in industrial growth at the expense of the community and the welfare of our planet and they aim to assist in halting the deforestation of our planet so they have teamed up with World Land Trust to help protect threatened habitats and in co-operation with local partners and communities, help ensure they are managed sustainably. Money from each bag of PURO Fairtrade Coffee sold goes towards buying and protecting areas of rainforest vital for biodiversity in coffee producing countries. To date, consumers of PURO coffee have enabled 9105 acres of rainforest to be bought and protected, and 14 new species to be discovered and named by science (1 tree, 12 orchids & 1 frog). But their efforts to give back to the planet does not stop there. Miko has 9000m2 of solar panels on the roof of their building to generate their own electricity. They have a webcam in the rainforest that shows streaming wildlife footage from the breathtaking Brazilian Atlantic Rainforest. They even have a section on their website called coffee recycling to give you ideas on how to recycle used coffee, i.e, by using it as plant food, exfoliant, deodorizer or insect repellant. That is how dedicated PURO is in helping the environment. If you want to find out more about PURO’s story, this video is a must watch. You can also visit PURO Fairtrade Coffee's Facebook page for more info. Disclaimer: I was sent samples of PURO Fairtrade products free of charge, but it has no bearing on the content of this post. The opinions expressed here are my own. Would love to try this! Too bad it's not yet available in the US.